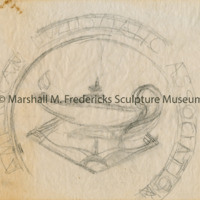 Sketch for the reverse side of the "American Nuismatic Association 93rd Anniversary Convention" medal. 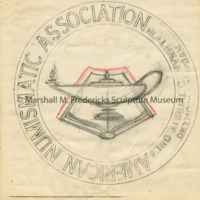 Inscription on reverse side of medal reads "American Numismatic Association 93rd Anniversary Convention, Detroit, Michigan, 1984," with bas-relief of book and oil lamp. 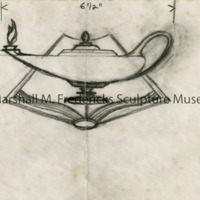 Sketch for reverse side of "American Numismatic Association 93rd Anniversary Convention" medal featuring book and oil lamp. The word, 'numismatic' is derived from the French, 'numismatique,' and is defined as the study or collecting of coins or medals. Face side of the "American Nuismatic Association 93rd Anniversary Convention" medal. 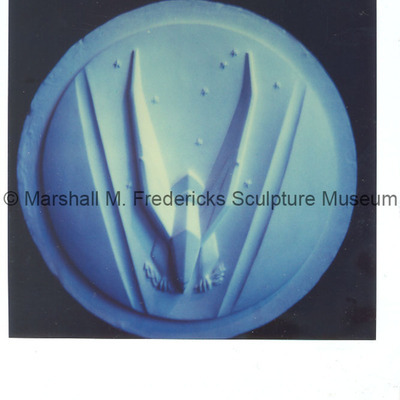 Face of medal features an abstract eagle representing a blend of the "Victory Eagle" designed for the Veterans Memorial Building in Detroit and the "American Eagle" on Cincinnati's Federal Building. 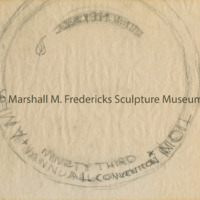 Plaster model for the face side of the "American Nuismatic Association 93rd Anniversary Convention" medal. 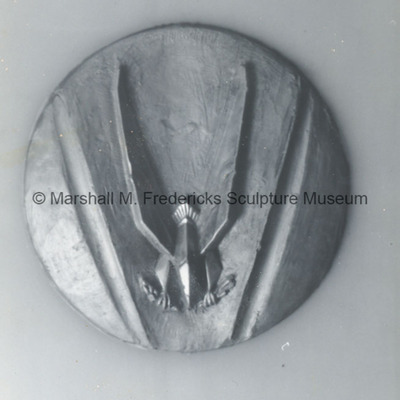 Face of medal features an abstract eagle representing a blend of the "Victory Eagle" designed for the Veterans Memorial Building in Detroit and the "American Eagle" on Cincinnati's Federal Building. 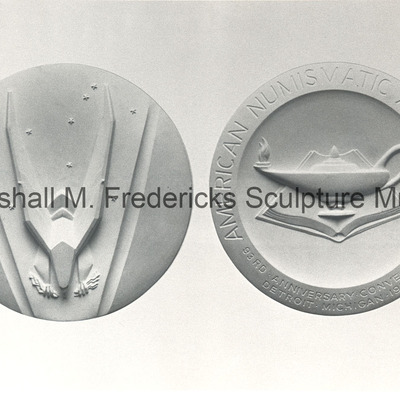 Plaster model for reverse side of "American Numismatic Association 93rd Anniversary Convention" medal. 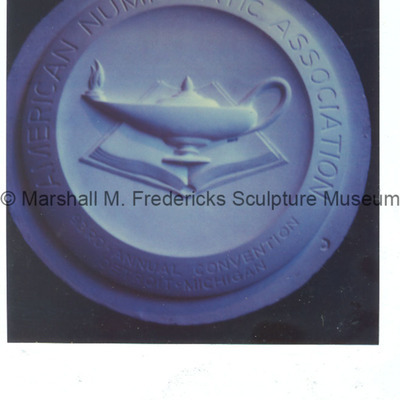 Reverse inscription reads "American Numismatic Assoication 93rd Anniversary Convention, Detroit, Michigan 1984," with bas-relief of book and oil lamp.